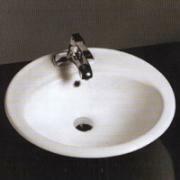 These sinks are available for Top-Ten, Custom Laminate, High-Definition Laminate, Express Granite, Custom Granite, Quartz, and Solid Surface countertops. Talk to a designer for pricing. 1 or 3-hole faucet configuration. 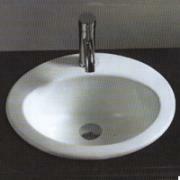 CVCT keeps this sink in stock for immediate delivery. ***Not stocked. Special order only.